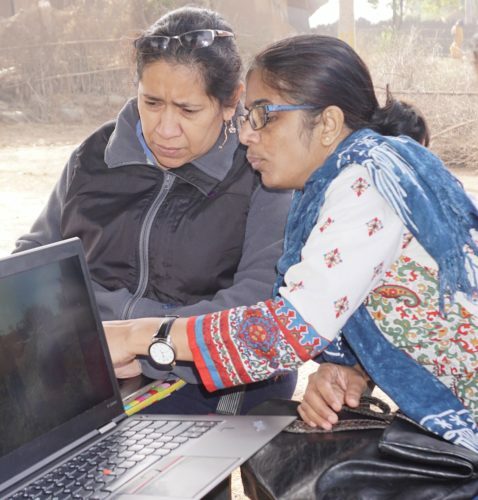 Interest in supporting women’s economic empowerment (WEE) in recent years has created an awareness of the need for more accurate and detailed data if gender disparities are to be appropriately and successfully addressed. This brief review finds that initiatives that are collecting data focus on objective measures of WEE (such as productivity, loan amounts, and income) but very few seek to measure women’s own, subjective experiences of economic empowerment quantitatively (such self-esteem, satisfaction with work and life, and stress levels). The latter is an important component, as many women face barriers on the road to entrepreneurship and how they feel about different aspects of the process may shape the paths they take, whether to grow and expand their businesses, maintain them as micro or small businesses, or shut them down. This “think piece” first reviews the concepts of women’s empowerment, economic empowerment, and entrepreneurship to clarify the areas of commonality and difference among them, before distinguishing in greater detail between “subjective” and “objective” dimensions of economic empowerment. After briefly discussing the review methodology, it describes the current state of gender-informed data bases addressing the various domains associated with women’s economic empowerment. Gaps found in current approaches include lack of attention to capturing men’s views and actions in supporting or inhibiting women’s entrepreneurship as well as attention to women’s choice in entrepreneurship. The review concludes with recommendations supporting greater interdisciplinary dialogue and mixed methods approaches to develop measures of both objective and subjective measures of empowerment, and suggests some additional topics of measurement.